Hospital saves life of woman who gave birth at home - after 2 C-sections. 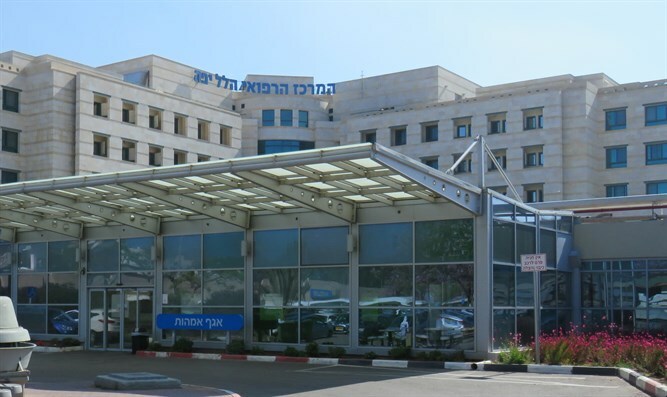 A new mother arrived in Hadera's Hillel Yaffe Medical Center on Monday, complaining that since her home birth, she had suffered severe stomach pains. Hospital staff quickly examined the mother, and discovered that she had suffered tears to her uterus. She was rushed to the operating room, where she underwent life-saving surgery. The woman is currently stable, and recovering from the operation. The incident, which is considered unusual, was reported to Israel's Health Ministry. The woman and her husband told hospital staff that the birth, the mother's third, came after she delivered her first two babies via Caesarean section. The Health Ministry has opened an investigation. Professor Motti Hallak, who heads Hillel Yaffe's Obstetrics and Gynecology Department and is an expert in emergency obstetrics, noted that the Health Ministry gives exact guidelines for home births. A woman who decides to give birth at home and not at the hospital should adhere to these guidelines, he noted. "The recommendation is to give birth in a proper medical facility," Professor Hallak said. "Today, we allow women to give birth any way they like, as long as there is no danger to the woman or her unborn baby."